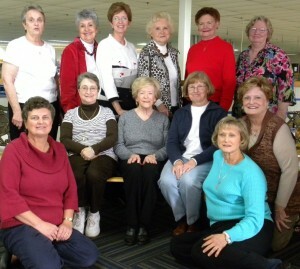 Lunch Bunch Mission Group is a prayer group and a part of the WMU (Women’s Mission Union). Each month, we meet to review the current missions within the Southern Baptist organization for opportunities to help. Our meetings take place at various local restaurants, usually the first Tuesday of each month during lunchtime (around 11:30am). The group currently consists of all women, but men are certainly welcome to join. We try to participate in one community project each month and support other charges that are worldwide. Sometimes we provide razors for men, toiletry bags, serve meals, or haircuts. Street Reach, a homeless ministry in Myrtle Beach, may call with needs such as blankets for the night. We get them together and deliver the blankets on a moment’s notice. During November, we host a shoe box packing party for the Samaritans Purse…Operation Christmas Child. If you would like to attend or help, check the church schedule for specific times and dates of our monthly “Lunch Bunch” meeting.